Matt’s part from the 2002 Salvation video. Most of this is filmed in the Portland, Or area. Matt definitely helped push pegless riding in this section. His banger of a pegless tooth in a pool is still so gnarly on today’s standards. I’ll be posting more part’s in the upcoming week and don’t worry we will still be posting alot of stories and photogallery’s. Click the link to see some photos of Matt shredding. 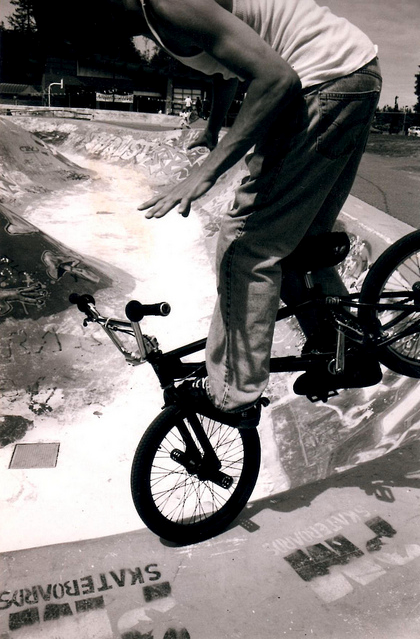 This entry was posted in Photos, Uncategorized, Video and tagged 2002, matt puorro, pdxbmx, salvation. Bookmark the permalink.